I’m such a sucker for limericks and haven’t had the time to find a few good ones to chuckle over lately. This was wonderfully funny, Rob. Although I could never sing while playing–I’ve enough challenge remembering to breathe while playing. UVV COARSE we/you-awl (w)remembrrr the american/chinese ping-pong diplomacy of, uh, when, the later 1960’s? No, I don’t remember this. Was it a crucial turning point in US/Chinese diplomatic relations? Your illustration of Churchill begs a whole series on what war maneuvers might have looked like if played out on the ping-pong fields, I mean tables…. A lot less casualties, that’s for sure. And maybe more of a contribution from the Chinese? Delightful! 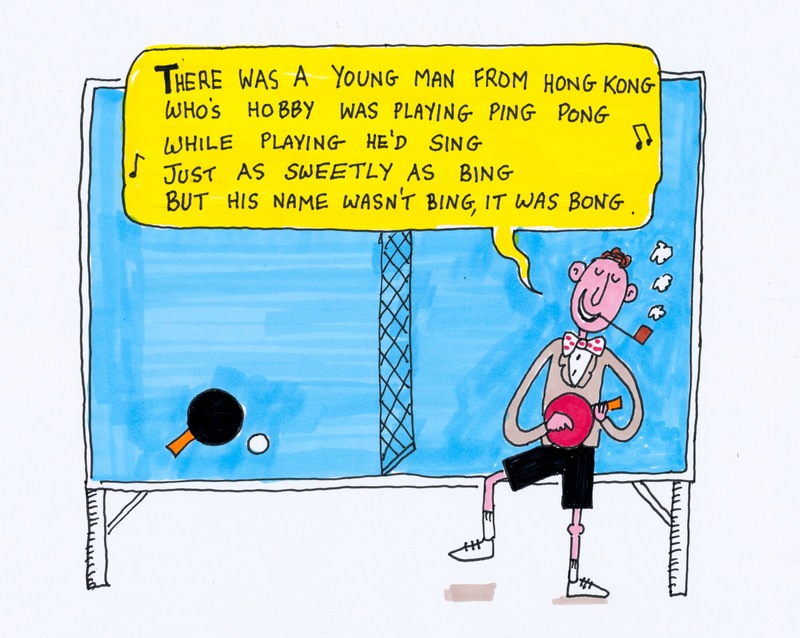 I love a good limerick, and an illustrated one…be still my heart.